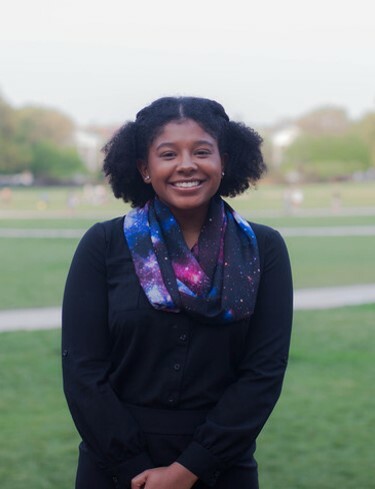 Rachel is a sophomore in the Department of Aerospace Engineering here at UMD. After growing up in Woodbridge, VA, where she participated in multiple summer programs at NASA Langley through the Virginia Space Grant Consortium, Rachel decided that aerospace engineering was absolutely the right major for her. Although this is only her third semester, Rachel is already making quite an impact on Maryland’s campus. She is the Public Relations Chair of UMD’s Women in Aeronautics and Astronautics student organization, serves on the student council of the Gemstone Honors College, is an active member of the Black Engineers Society, and serves as a mentor for G.E.M.S – a program that introduces S.T.E.M concepts to middle school girls. This past summer, Rachel worked with ESTEEM SER-Quest, a residential summer program on campus for high-school students interested in the Clark School. It’s no surprise that she is both an NSF LSAMP Undergraduate Research Fellow and a Banneker/Key Scholarship recipient! 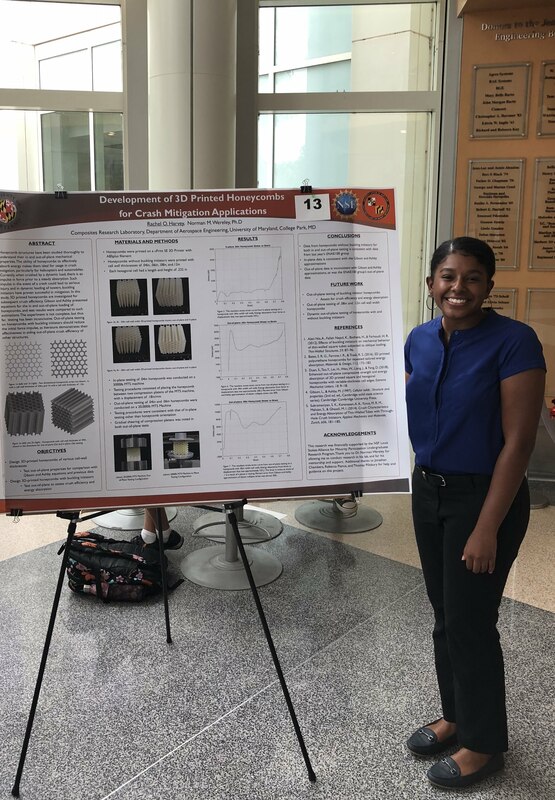 Rachel’s current research includes a project developing 3D printed honeycombs for energy absorption applications in the Aerospace Composites Lab. She is also a member of Gemstone’s Team Habitat, a NASA-funded project attempting to implement robotic assistance in habitats for Deep Space Gateway, the moon, and Mars. In the future, Rachel plans to attend graduate school and earn a Ph.D. in the field of aerospace engineering. Her dream is to work on cutting-edge space technologies to help get humans to Mars.